The Lankford Hotel was built by the Mary B. Quillen in 1924 and has remained in the family since that time. 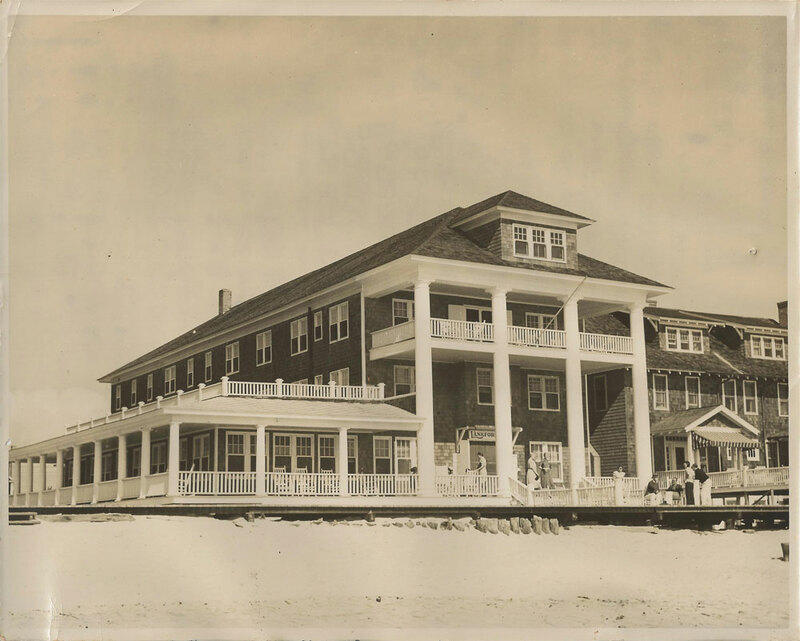 Mary ran the hotel solely until 1962 when her niece Betty Frame and her husband Warren purchased the hotel four days before the famous hurricane of 1962. This proved to be an omen of things to come. However, after several hurricanes which rearranged the basement of the hotel, the Lankford is still standing and has improved with age. As Ocean City grew so did the Lankford. Betty and Warren remodeled the hotel, turning some of the rooms into apartments and added more buildings as they went along. 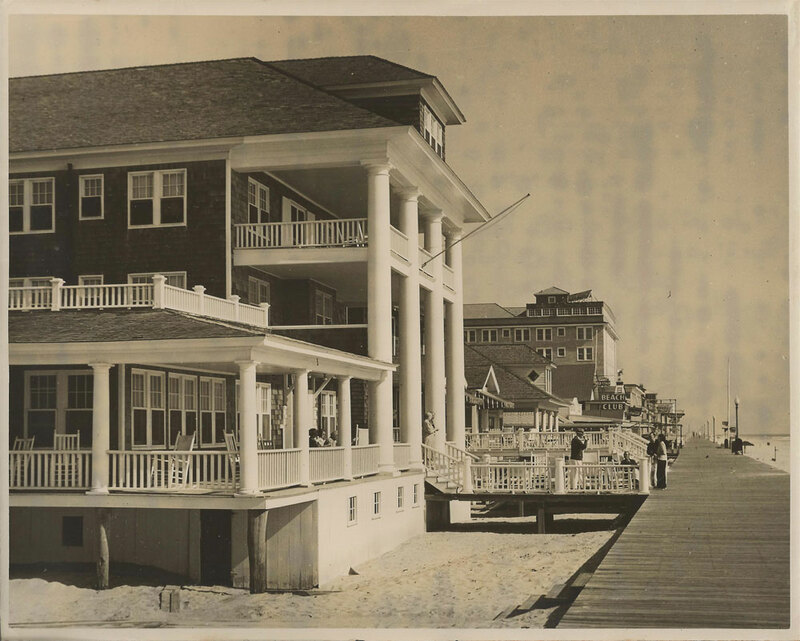 Today the Lankford Property consists of the main hotel, located at 801-805 boardwalk, the Ayresbilt, which holds 9 apartments, the Sea Robin which is a three floor, two apartment building and the Lankford Lodge which has two apartments and 11 rooms. The one thing that has remained solid about the hotel property and has become one of our main attractions, is the fact that we have always remained a family establishment. We love the family atmosphere and hold on to that image. We do not rent to groups of people in order to maintain a quiet atmosphere. While we want everyone to have fun, we maintain quiet so that the babies and children can sleep at anytime in the rooms, no radios allowed on the outside porches and we ask that all guests vacate our guests rooms by 11:00 p.m. so that no doors will be banging late at night. In fact, in the main building we still lock our front doors at 2:30 in the morning. Should tenants be out after that time, they will remain out until we unlock the doors at 6:30am. All of this is to instill safety and security for the tenants. We want no one walking the halls and knocking on doors and disturbing the vacations of those visiting our properties. In the spring of 2013, we were forced to reevaluate how we were performing, as the hotel faced increasing competition from newer hotels, It was decided that we needed to find someone who could come in and help us identify problem areas and then help us work on eliminating the inefficiencies to increase our ability to compete. Mary decided to contact the producers of "Hotel Impossible" on the Travel Channel. After looking at our bottom line, they sent in Anthony Melchiorri, a hotel management expert, along with designer, Blanche Garcia and a camera crew to document the journey. Anthony found that our systems were outdated and our aesthetic and design concepts needed updating. While his designer worked on one of the apartment units, he worked on the office systems. While we used a reservation system called Roommaster, Anthony called them and they sent a representative to us who brought their top of the line software and installed it on new computers for the office, which the representative purchased and presented to us. Their software gives us the capibility to take on-line reservations and credit cards which at that point we were unable to do. Anthony also felt our web site was out of date and had our initial page redesigned to show us what would look more professional and we then contacted a team to develop a new web site to follow what Anthony started. While he was working on the office systems, Blanche was busy with her team which included Joseph T. Dashiell, a local contractor who supplied his services and a crew to help in the redesign. They took the outdated unit and turned it into a beautiful apartment that maintains its vintage vibe with a contemporary design. They added bright colors along with a few new key pieces of furniture, new bedding, new window treatments and a new bathroom. In doing that, they also gave us the guidelines of what they did in order for us to be able to replicate each detail ourselves. This gives us everything we need to continue with the updates on our own. And the final issue we dealt with was a lack of team unity which Anthony also addressed. We were having issues, as a family, working as a team. In the end, Anthony and his team showed us how to move forward building team spirit to work on issues that would come up. We found that with Anthony's guidance, we have been able to make decisions as a unit, work with each other and solve problems that have come up over the course of the summer and have continued the updates that were started by the design team.